Unics Kazan (VTB) strengthened their roster with addition of 28-year old American forward Jackie Carmichael (205-109kg-90, college: Illinois State). He already started the season at Al Riyadi in Lebanese LBL league. Carmichael managed to play in three leagues in two countries this year. In only one LBL game he recorded 12 points, 6 rebounds, 2 assists, 2 steals and 2 blocks. He also played for Avtodor earlier that season where in only one LBL game he averaged 14 points, 6 rebounds, 1 assist, 2 steals and 1 block. 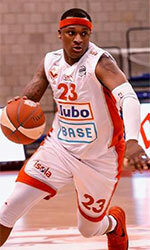 Carmichael also played 2 games in Basketball Champions League where he had 11.5ppg and 5.5rpg. The list of the past achievements is quite long as among others Carmichael's team made it to the Spanish ACB Supercup Final Four in 2014. He was also voted Eurobasket.com All-Israeli League Honorable Mention back in 2015. 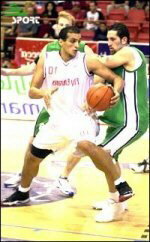 Carmichael has played previously professionally in Turkey (Banvit, Usak Sportlif and Buyukcekmece) and Israel (Maccabi Rishon and Maccabi Ashdod). He attended Illinois State until 2013 and it is his sixth season as a professional player.